Join us and Bring your friends! A full weekend of great Free Yoga & Core Hitt , Pressed juice samples, Yoga apparel sales , Chair massage and more! 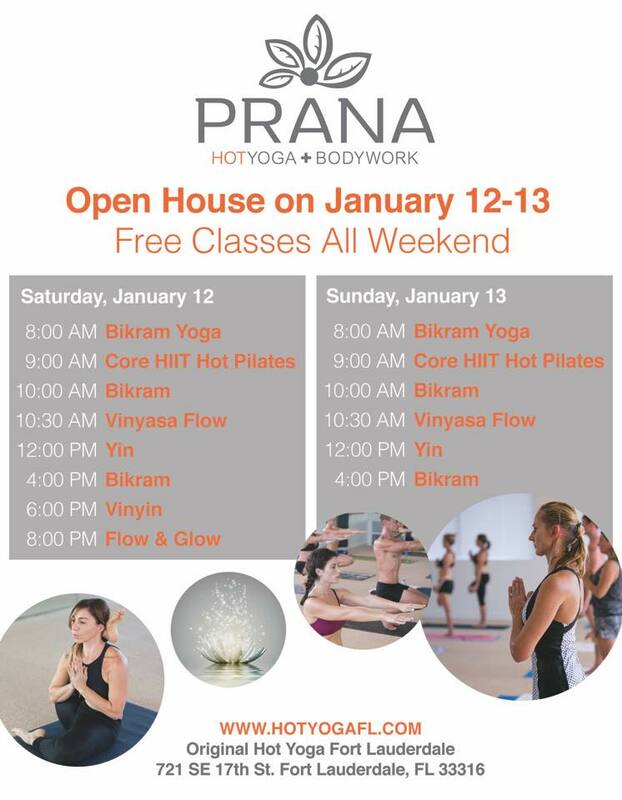 We are celebrating the Merging of Prana and Original Hot Yoga Fort Lauderdale with amazing deals!Come check us out!